Fire Emblem: Awakening has a stellar cast of characters, each one unique and memorable. They were all so written that it took me a long time to decide who I liked the best without feeling horribly guilty for leaving anyone out. But after playing the game a few times and many nights of constantly fighting with myself, I’ve managed to narrow down the list to my top five favorite characters, with notable mentions because I have issues parting with any of them. 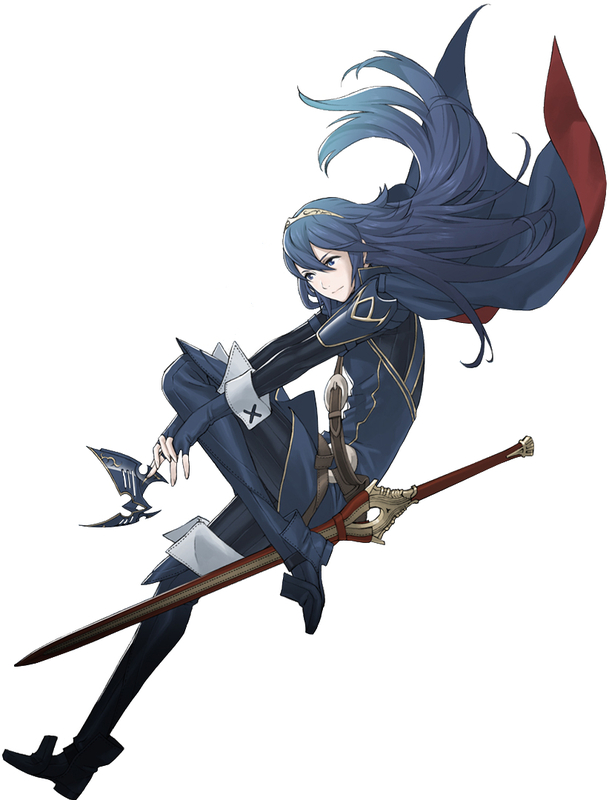 Out of all the children characters, Lucina is the leader, and because of this, she has a huge role in the story. It gives players a lot of opportunities to get to know her outside of the brief conversations that can be unlocked throughout the game. Lucina is strong and brave, but she is also just as equally vulnerable and sweet. She resolves to save the future, but sometimes she’s overcome with doubt. This might seem emo, but it’s justifiable given the horrors she’s lived through. Despite her tough exterior, she also has a childish, naïve side when she’s with her parents. Having been reunited with them in the past, she strives to recapture the life she never had with them by doing everything she can to please them, such as buying cute yet absurdly designed dresses for her mother. She’s always making an effort to reconnect with her family, and it’s so adorable you can’t help but like her for it, earning her the fifth spot on my list. I didn’t recruit Inigo in my first play-through and I want to bash my head in the wall for having not done so until later. The best way to describe Inigo is that he’s identical to Zidane – after all, the two of them share the same trait of being hopeless flirts who can’t ever seem to win over a girl’s heart. However, unlike Zidane, who has little to no reason for this, Inigo has a very interesting reason for it, and I really appreciate it. Don’t get me wrong, the futile flirting attempts are always amusing, but when there’s a sentimental reason tied to it, it’s much more interesting and makes the character less one-note. It’s for that reason that I appreciate Inigo’s attempts to be lady’s man, earning him the number four spot on my list. Inigo, I’m pretty sure your scabbard is facing the wrong way – how do you expect to unsheathe it when it’s behind you?! I have a thing for thieves. Zidane, Balthier, the unnamed thief girl in A Link Between Worlds – they’re always so witty and clever, and Gaius matches this description perfectly. 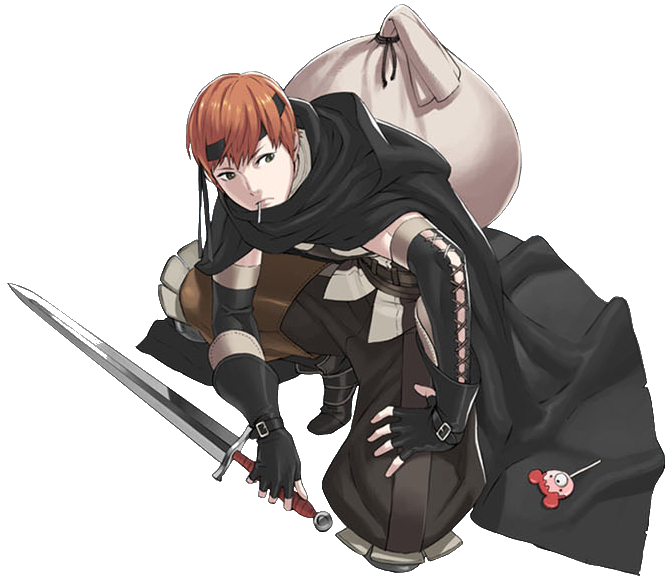 Characterized as the classic thief character, Gaius has no qualms with his livelihood until his recruitment with the Shepherds. Gaius is under the impression that he, among others, will be stealing riches from the Exalt, but when he arrives to discover that they were actually sent to kill her, he openly refuses to follow through with it. Chrom just so happened to have a game changing bag of candy, and with this, Gaius quickly switched sides to protect the Exalt. Sure, he’s all about the gold, but adding in the fact that he has a sweet tooth makes him an even more fun character to get to know. His misadventures to find candy are entertaining, and though it may make him seem selfish, he’s overall a nice guy. In one conversation, he helps Lissa learn how to sew, and though she doesn’t get a whole lot better, it’s cool to show that he’s talented at making little trinkets but also exemplifies that he’s not always obsessed with sweets, earning him the third spot on my list. 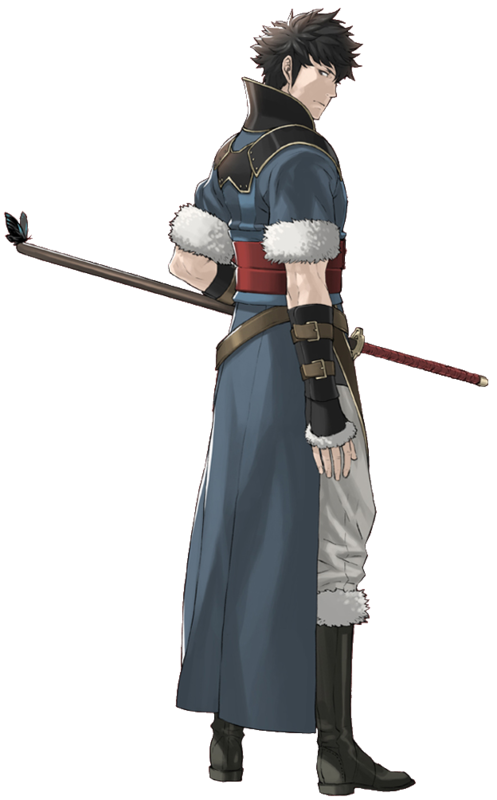 Lon’qu is the typical collected and cool male character introduced early on in the game. Powerful and well-respected, he’s confident with his skills and doesn’t care what anyone else thinks of him. It seems cliché, but then throw in the fact that his cool demeanor diminishes anytime a woman comes near him, and you suddenly have a unique, interesting character. Lon’qu is legitimately afraid of women, and you can’t help but have fun pitting him with other female characters just to see what kind of reaction he will have. It usually involves outbursts of anger or embarrassment, and while it’s great comic relief at his expense, it also provides some interesting character development as you see how he is able to overcome the fear, for the most part…even if it is only around one woman…but at least it’s progress! Before I continue, I should mention that the source of his fear is also equally interesting – there are plenty of male characters who feel guilty and emo after the death of a loved one (cough cough Emo Cloud-face cough cough), but the fact that Lon’qu’s guilt resulted in him developing a phobia of women is an unusual and defining, memorable twist. Outside of his phobia of women, Lon’qu is good at peeling potatoes, catching butterflies, and is extremely humble, to the point where not even his spouse can flatter him without being rejected. Lon’qu redefined what it means to be cool, and I had no regrets in my decision to have my female Avatar marry him. Lon’qu is an awesome character and warrior, earning him the number two spot on my list. This butterfly shall now be called Butterfree, and it will MINDFREAK everything in sight. Lon’qu is a very close second, but it’s Owain who takes the cake as my number one favorite character. It’s not even a question for me. 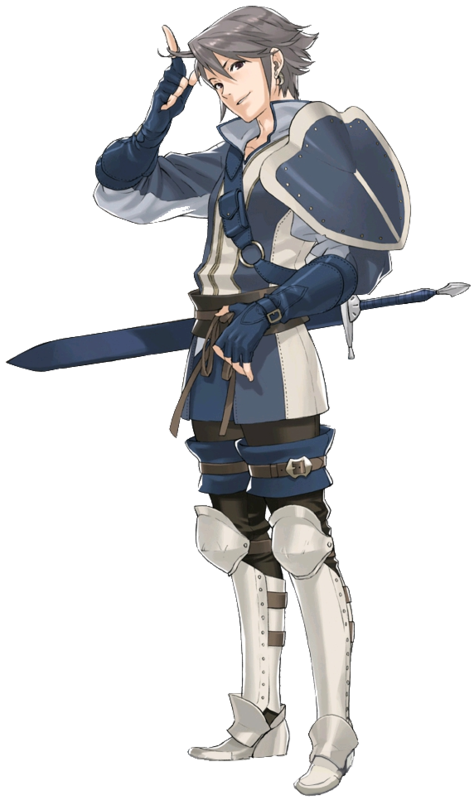 I find him to be the most memorable character in the whole game with his fun, noble, and imaginative personality – or, as Lucina would describe him, “colorful” (lots of paragraphs incoming, so prepare yourselves. I have a lot of words for this dork). Yeah, don’t ask. Owain is too awesome to have a reason for this. 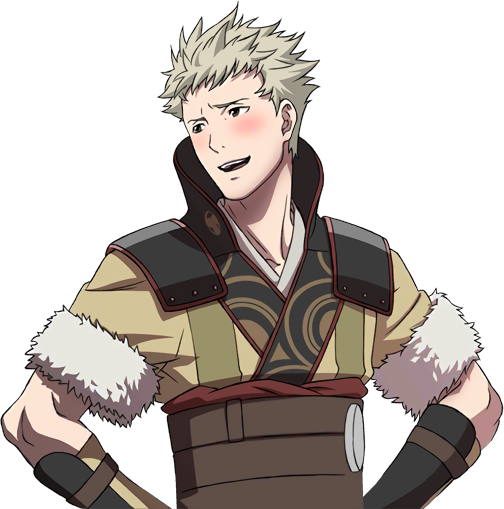 The most defining characteristic of Owain is his upbeat personality. Much like the other children in the game, Owain has a traumatic past and takes it pretty well. I’d argue that he’s able to cope with it more easily than the rest because his dramatic, theatrical nature sets him apart from the rest. One of the most prominent ways that he hides his true feeling is through his surprisingly convincing acting. He has this running gag of his uncontrollable “sword hand” that wants to kill everyone (in one conversation, it freaks out his father so much that he goes to get the mother for help). It’s over the top and hilarious, but it doesn’t just serve the purpose of comic relief as you’d expect. It’s a subtle yet very effective means of developing his character, because in truth, he only acts in this dramatic, silly way as a ploy to get attention. It certainly works since the reaction he gets out of people is usually that of annoyance or confusion, but it adds a certain vulnerability to him. Owain’s need to stand out is his way of detaching himself from his past, but also a way for him to counteract any doubts of himself or how he is perceived by others. Not only is there the running joke of his “sword hand”, but his imagination is constantly called into question – and he has a lot of it. 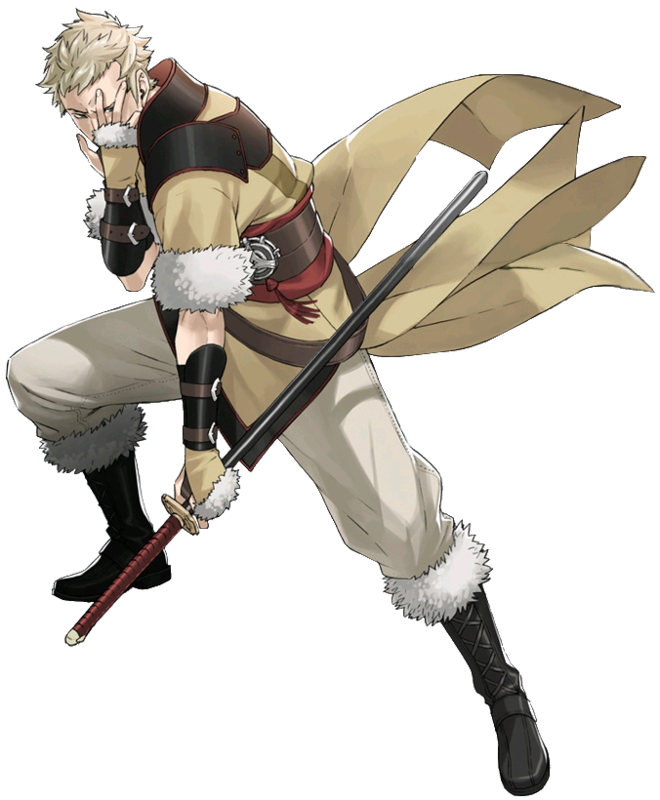 Besides being a warrior, Owain also enjoys spending his time writing poetry and fantasy stories that compound his abilities and prowess as a soldier. Many characters tell him to consider pursuing a career as a poet or writer because his stories, while bizarre, are special and needed to lift people’s spirits, and quite frankly, I wish he did. He always describes his stories with such careful, elaborate detail, and I bet he could write hundreds of tomes worth of fantasy stories in his lifetime with ease. He also applies his quick thinking skills to coming up with names for weapons and moves on the spot (at one point, he had twenty-six pages worth of suitable names for his mother to choose from when naming her weapon), and what’s funny about this is, not only are they usually random names like “Shadowdarkness” or “Gyrphonsbane Edge”, but quite a few of the names are references to earlier games in the Fire Emblem series, such as “Radiant Dawn” or “Sacred Stones”. It really only serves the function of being a throwback to the older games, but it’s still entertaining nonetheless. The reason for bothering to name his weapons and moves is quite simplistic considering who we’re talking about – Owain believes that giving a weapon a name instills new meaning in it, making it no longer just a simple tool for fighting, but something more special. Like I said, simple and to the point. But it wouldn’t be fun if everything about Owain was straightforward. I mentioned before that the other characters get annoyed and confused by Owain, and not just because of his crazy ideas – the thing that sets them off is the way he talks. Owain usually goes out of his way to speak in poetic eloquence, and it’s so dramatic and silly that, half of the time, no one can understand what he’s trying to say, myself included. And since no one can understand him, it usually results in him having to transition to speaking more simply and normal to get his point across before continuing with his dramatic speeches. Owain is most definitely a goofy character, but he can be serious when the occasion calls for it. As dramatic as he is when it comes to making grand speeches about being a hero, his nobility is genuine; he always fights for justice and protects others at all costs. It’s plain to see that no matter what anyone else thinks of him, Owain is confident with who he is and has a unique personality all his own, and that’s what makes him my top favorite character in Fire Emblem: Awakening. Morgan is interesting because Morgan’s gender is contingent on the gender of your Avatar. It’s confusing, I know. I have recruited Morgan in both genders, but for the purposes of keeping this from being too confusing, I’ll refer to Morgan as female. Morgan suffers from the cliché of having amnesia, and while I should dislike it immensely, the fact that it’s a throwback to the Avatar – her father in this case – having amnesia saves it for me. Morgan is talkative and upbeat, wanting nothing more than to regain the lost memories of her family. Instead of wallowing in self pity as you might expect, Morgan always looks to see the positives in her situation, and she’s eager to help others with their own turmoil. Her admiration for the Avatar is endearing, and though she’s optimistic in recovering her memories, she’s also enthusiastic at the idea of creating new, better memories to cherish. Noire is another character I didn’t recruit in my first play-through. I regret that decision, because she’s a great character, something I became privy to in later play-throughs. Noire is the daughter of Tharja, who was constantly casting hexes on people. Because of this, Noire grew up scarred from these hexes and has developed a split personality. Often timid and insecure, once she gets her hands on her talisman, she is instilled with horrific confidence and a violent personality. The talisman gets tossed out by her mother early on, but even without it, Noire can still be unnerved and angered to such extreme degrees. I found Noire to be an extremely entertaining and unpredictable character to get to know, earning her the place of notable mention on my list. She looks scared now, but that arrow is going to cause some serious hurt. Going back and reading this now after I’ve finished playing Awakening, it makes me realize how many characters I really missed meeting or I just didn’t get to know as well during my first run with the game. It makes you realize there’s just so much more of this game to unlock and experience that one playthrough simply won’t cover. The characters are easily the reasons responsible for my replaying the game four times now…each one is really distinct and well written, and getting them acquainted with the rest of the cast helps flesh them out a ton. Fire Emblem: Awakening is my favorite game of all time tied with Xenoblade Chronicles (At the moment) These characters are all awesome in their own way. Your choice of #1 (Owain) is one of my favorites as well. Let’s see the reasons I like him. Large Ham? Check. Leans on the fourth wall? Check. Makes references to other games (Including The Legend of Zelda)? CHECK. Xenoblade Chronicles is great! As for Owain, his craziness is much appreciated. I don’t remember him making a Zelda reference, which is unfortunate because that sounds awesome! I’ll need to investigate this for sure! I have a thing for timid characters so I like Noire. Plus it is funny when she goes mental.